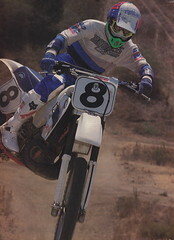 Here is the fourth and final issue of the iconic nineties motocross magazine Inside Motocross. This issue has a great interview with Damon Bradshaw only a week after announcing his retirement and spectacular coverage of America’s 13th consecutive victory at Schwanenstadt, Austria in the 1993 running of the Motocross des Nations. As always, there is more of the amazing photography that helped make Inside Motocross such a classic. As before, I am including the Classic Commentary I did for my YouTube channel where I go through the issue page-by-page and add my thoughts and recollections.